Pledge: The current government has promised that every Indian will have a home to live in by 2022 - with 10 million homes ready by this year in rural areas and 10 million ready by 2022 in urban areas. Verdict: Millions of new homes have been planned and approved to deal with India's chronic homelessness problem. But so far, not nearly as many have actually been completed as the government claims. The BJP government is, however, building new homes at a faster rate than the previous Congress-led government. In 2015, Prime Minister Narendra Modi launched a scheme to tackle homelessness, and, in February 2018, he said: "We will achieve our target of housing for all by 2022." The last official estimate for India's homeless was 1.77 million, out of a total national population of 1.2 billion, in the census data from 2011. Those who work to help the homeless believe the actual total is a significantly higher. In Mumbai, India's most populous city, local non-governmental organisations estimate the number of homeless people is up to five times the official figure of around 60,000. So it is difficult to know exactly how many homes would be needed to ensure that everyone is actually housed. However, it is important to add that this scheme is aimed at helping not only those families who have no shelter at all, but also those living in very basic or sub-standard housing. The current scheme offers subsidies of up to 130,000 rupees ($1,856, £1,411) per house for those lower income groups which qualify. The aim is to enable families to buy or build a home of reasonable quality with proper facilities like toilets, electricity and gas connections for cooking. How many urban houses have been built? In July 2018, Mr Modi said that 5.4 million homes out of the scheme target of 10 million had been approved for building in urban areas. Official data from the Ministry of Housing shows that by March 2019, 8 million homes had been approved. That is more than were approved under similar schemes run by previous governments between 2004 and 2014. Having said that, only 1.8 million had been finished by March this year. And it is worth mentioning that it takes more than a year for a house to get approval on paper - and several more years to get it constructed and then occupied. 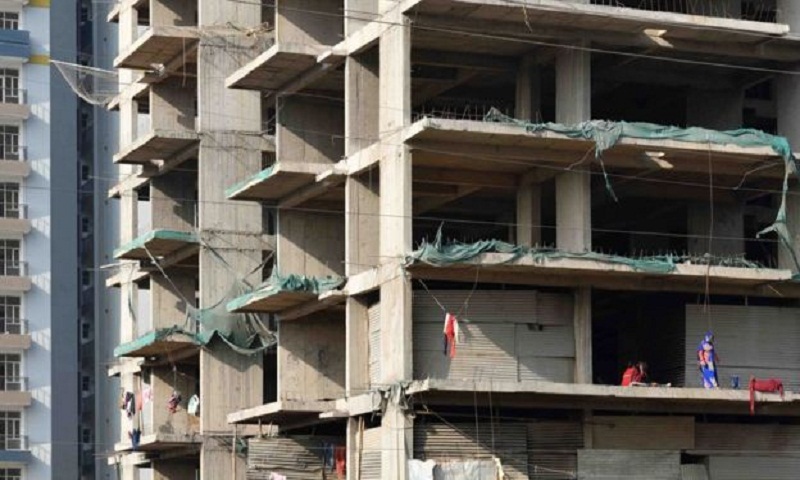 A report by the credit rating agency Crisil, published at the end of 2018, estimated that the government would need to spend a total of 1,500bn rupees ($21.8bn) to achieve its housing goals in urban areas by 2022. It said that the government had spent less than a quarter of this amount so far. Dr Renu Khosla, director of the Centre for Urban and Rural Excellence, believes the land issue is key. "In the absence of land in the heart of the city, you are forced to build in the outlying areas," she says. "But people don't want to move to those places, because they lack transportation and jobs." Under the rural homebuilding scheme, 10 million houses were intended for construction over a period of three years from 2016 to 2019. In July last year, Mr Modi claimed that 10 million houses had actually been handed over to families in rural areas. But that is not correct, at least not according to the official data. This shows that since the scheme launched in 2015, the total number of houses now built in rural areas stands at just over 7 million - not yet on target. But overall, the current government has improved on the performance of the previous Congress-led government from 2009 to 2014, which had its own rural housing scheme. An official Indian audit report in 2014 said that the annual rate of construction for the five years under the Congress-led government was 1.65 million homes. But under the current BJP government that figure had improved to 1.86 million houses a year for the period from 2016 to 2018.